The terrorist who was one of the planners responsible for the bombing of the USS Cole in 2000 which killed 17 American sailors and wounded 39 others, has been killed in a U.S. airstrike in Yemen, according to a Trump administration official. 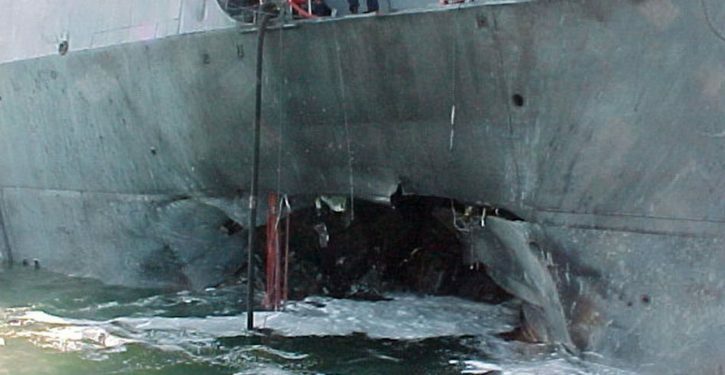 The attack was the deadliest against a U.S. naval vessel since the Iraqi attack on the USS Stark in 1987. In June 2001, an al-Qaeda recruitment video that featured Osama bin Laden bragged about the attack.